2 History teaches those who remember. 1 History is written by the victor. 1 History shapes our perceptions of the present. 2 History influences the future. Not to know what occurred before you were born is to remain always a child. For what is the worth of human life, unless it is woven into the life of our ancestors by the records of history? 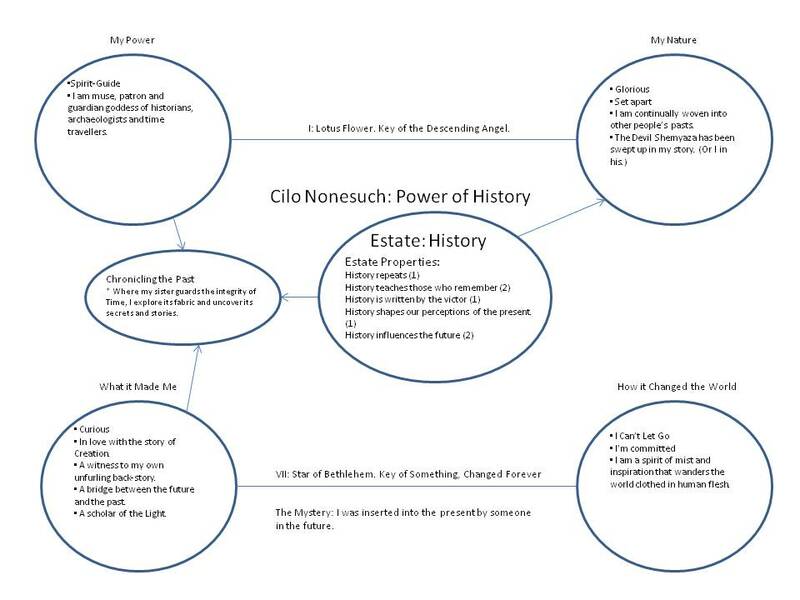 Cilo Nonesuch is, as far as she is aware, the only Power of History ever to have existed. Her own history is a work in progress. Every time she meets a new person, her history spirals out back into the past, intertwining into that person's backstory so that she and they have a history together. Her links with Zein Aor Zeng and certain other Imperators have given her a history that stretches back long before the birth of humanity, back into the early eras of the First Age. Given the nature of her peculiar Affliction, even she does not know when she actually entered the timeline. Arguably the distinction is meaningless anyway. 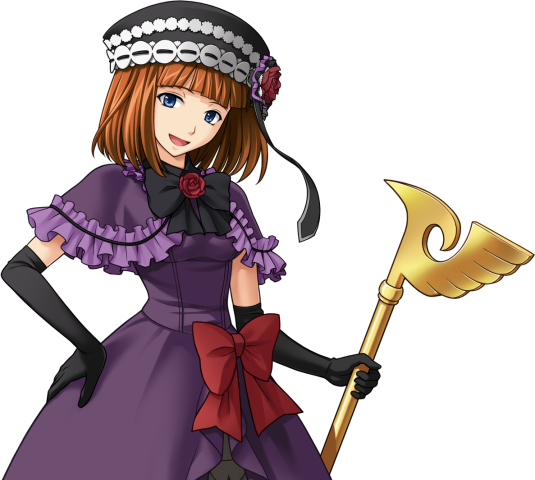 That said, Cilo suspects she did not exist in the timeline until quite 'recently' as her probing into the future and consultation with the mysterious forces in that time that will communicate with the past indicates she was inserted into the Familia Zane by a miracle cast some time into the Fourth Age. The possibility has not escaped her that she is actually a really subtle Welkin rite, and this unnerves her. Still, she knows she has a mission, that much is certain. In the meantime busies herself by chronicling the history of Creation, the Imperators and the Excrucian War. Cilo is always particularly curious to follow the threads of those Powers, Imperators and Excrucians who seem to weave in and out of Time, and often collaborates with Vona on such projects. "How will the story unfold?" -Linked to "Chronicling the Past"
"For what purpose was I born?" -Linked to the heart of the Star of Bethlehem. More than anything else you are… in love with something. Your Estate is from the… light side of human experience. Your Estate is… something you can describe. You are… something really strange. You lived an… extraordinary life! You are affiliated with… the Song of the Light. 0 Know when something endangers the fabric of History as a whole, or twists its properties against themselves. 5 free strike. 1 Conjure up illusions or recordings of historical events, or put vague non-compelling ideas about history in people's heads. 2 (Where did I leave my car keys?) Gain knowledge of historical events as generally remembered to history (a lesser divination will tell you details that made it into modern history books, but cannot speak of things lost to the mists of time or distorted by historians. Learn how old an object is and whether it figured into particular historical events. Persuade spirits of history-books to help you find the information, or alter themselves to subtly cover something up. 3 Make someone remember something they have forgotten (Where did I leave my car keys.) Make sure a historical event is not forgotten by a small group of people, or increase its importance to them. (So something which was considered a minor historical footnote is now a defining part of their heritage.) Protect a historical event from being forgotten or distorted by people in the future. 6 Outright change minor or local historical events, even if they happened centuries ago and have the world change to accommodate this new truth. Reverse the flow of history on a local scale so that historical events happen in reverse or repeat themselves. Ensure that a particular historical event gets great importance attached to it by everybody in the world and is remembered exactly as it happened and not be subject to historical revision. Swap one person's history for another's. 7 Rewrite large swathes of what is accepted as distant history by world historians. (Without actually changing reality) Alternatively, use the "fill in the gaps" trick to change recent historical events on a large scale. 0 I can recognize great historians, or people, movements organisations and ideas whose actions will make their mark on history. 1 Make people a little more/less likely to, repeat themselves, remember and learn from the past, believe the words of the powerful/victorious, see their situation in a particular context, take control of their own destiny or influence historical events. 2 Incarnate in historians, flashbacks or memories. 3 Make myself able to repeat actions I have seen. Improve my memory and ability to adapt based on past experiences. Make myself an incredible teacher. Allow me to adapt myself in the context of a victory. Make myself able to shape peoples perceptions. Give myself the power of prophecy. 4 Grant people great historical importance, or remove things from the present and place them into history. Make people perfectly repeat themselves, make people learn from and adapt to their mistakes. Make people who are forgetful repeat their old mistakes. Give other people prophetic future-shaping power. Allow people to reshape their perception of the present. Place people or things under the influence of a victorious leader. 5 Bring people or things from the past into the present. Make it so that someone who is a loyal follower of a victorious leader is no longer swayed by their influence. Make it so someone never learns from their mistakes. Make it so someone has no influence over what they perceive. Make it so someone or something cannot repeat itself. Make it so someone has no control over how future events will turn out. 6 Make it so someone is a focal point of history who mingles with famous figures and gets swept up in every great event they could conceivably be involved in. Make it so that someone only ever benefits or loses out from their past. Give myself the power to declare prophecies that shape the destiny of the world. Make my every thought and daydream into city-spanning illusions. 7 Turn someone into the next Einstein, Stalin or Gandhi. Make people adapt to their conditions with Borg-like perfection. Give people full, conscious control over fate. 8 Bring whole civilizations from the past into the present. Completely shatter a nation-state or world religion dependent on charismatic leader/prophet. 9 Transform a location into a historical nexus point where the fate of the world, nay the Ash itself may be decided.